Geocaching Australia - View topic - Who can help us with our honeymoon planning? Who can help us with our honeymoon planning? After searching further for information, we found also this international topic about international visitors. Therefore we place also here our questions, as we would like to reach as many geocachers as possible. We want go get married and then make a very long and nice honeymoon. Our wish is to go to Australia and start by camper in Sydney and roughly travel along Adelaide, Alice Springs, Darwin to Cairns. We have never visited Australia before. The planning is that we will go end 2012/begin 2013, because it will be an expensive journey and we still have to save some money, but with the idea we will only marriage once, we would like to have a super great trip. But furthermore we don't really have an idea what we should visit, because Australia is so big. We already searched on the internet and bought some travel guides, but we think we can get the best information from the locals. We still have 18 months left, but we want to plan our journey properly. We are a couple of 27 and 30 years old, we love to see nice nature and sometimes a little bit of adventure. During our honeymoon we would like to relax but also get a good impression of the country. We like to have sunny weather, and no rain (we have enough of it in the Netherlands)and about 20 - 30 degrees Celsius. 1) What is the best month to be in the Eastern part of Australia, in the travel journeys we read December, but a colleague told us it is better in February. 2) Can some one recommend some camping places where we can overnight with our camper? 4) As a reminder we would like also to place one cache if we find a suitable place. Which regulations do we have to follow? 5) Which places should we absolutely visit (with or without caches). Re: Who can help us with our honeymoon planning? Just ask someone to set-up an event by the time you pass by any major city ... preferably a little bit in advance. I travelled Oz for 6 weeks ... now I live here. What we must not forget is that November to April is Cyclone season and the big wet in Northern Australia. If we have a return to normal wet season conditions for this period of time in the next two years or so then Darwin to Cairns would most likely be too wet to travel especially driving and a lot of roads could be closed for weeks. Heaven help us if we only have half the rain over the next two wet seasons that we had for the period 2010/2011. How long are you planning to be here? The drive you have described is a very long way. It'd be a great trip if you have the time to do it. December to February might not be the best time to drive through the middle of Australia. I took one of your countryman on a trip across the country once and there were a few things I learnt. he didn't like bugs and he didn't like heat. So for a major portion of your trip ie Adelaide to Cairns you need to do it in winter. Less bugs less heat. The best times would be April to September. In the desert you will get very cold at night but the days will hover in the low 20's. Much better to walk around those touristy spots. In the north those months are considered the dry season but closer to the summer months the more water you get in the gorges. Cairns stc is better in spring(Tropical) as the gorges are still mostly wet but more sedate. Of course it all depends on the summer wet. For example at the moment Lake Eyre is full of water. In 18 months it may be a salt pan again. If you want to see Alice Springs, Central Australia (Ayers Rock) and Darwin, you are much better to go in our winter months as summer is sweltering and very wet up north in the tropics. Why not google the average temperatures of the places you'd like to visit and see what you think. Personally, I like Cairns in about September/October. Darwin in July/August. Alice Springs maybe September/October - it can get very cold there in winter. You will probably have to put up with some variations in temperature no matter when you go becasue there's a pretty wide range across the places you listed. As long as you avoid "the wet season" up north, you ought to be reasonably ok with rain. Although I love Kangaroo Island, I would not put it on the list of "must see" places unless you are planning a 6 month trip. It's a great spot but not any different to lots of other lovely National Parks in Australia. The Flinders Ranges is probably more of a "must see" area in South Australia. I travelled around for 6 months in a camper when I was a tad younger and decided where to go by drawing a line inbetween all the National Parks along a circular route. Many, many of the best natural locations have been protected by making them into National Parks and quite a few of them have fabulous bush camping areas where you'll meet others who enjoy travelling and the outdoors. Then of course Cairns and the great barrier reef but it's a very long drive from Darwin as you have to head back south to almost Tennant Creek to drive east again unless you have a 4WD and even then, I wouldn't recommend travelling on those roads without being part of a group. There are a lot of really lovely places but personally I think the places I mentioned above are quite uniquely Australian. You might want to fly to a few selected places and drive other sections. There are always fairly cheap flights between Sydney, Adelaide, Melbourne and Brisbane. Darwin costs a lot more to fly to becausue not that many people live there in comparison! There is really way too much to see! You need to decide how long you have and go from there. Can you recommend the type of vehicle we should take. A 4wd camper or is a 2wd camper enough? This journey will be our first big journey and the first one where we stay in a camper. At the moment we are also planning to spend some days in a hotel in Syndney, then start traveling with the camper, and end in Cairns also with some days in a hotel. Therefore is it maybe possible that we place the cache and a local will maintain it, if it is possible. But before we can ask this, we first have to know the regulations. Like in the Netherlands you always need written permission of the owner to place a cache. But for example in our neighbor country Belgium and Germany you can place a cache where ever you are. 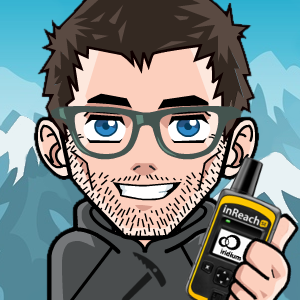 Are there also some caches which you can recommend? If you include Darwin in the itinerary (Tennant Creek to Darwin and back) then it's ~7600km and 89 hours drive time. I see lots of 2wd campers around, but not many 4wd. 4wd would enable you to go a little further, but if your not experienced in a 4wd you'll have an increased risk of getting into trouble (as you'll probably be more adventurous). I think you'll be fine in a 2wd, but if I could afford it, I'd get a 4wd. If it's at all possible I'd recommend you take a bit more time. An extra two weeks would make a big difference. (You only get married once.) That's the plan anyway. September/October is good in the south but you will run into heat and flies in the north at this time of year. Wet season in the tropics is from about October to March. Most of the trip you have stated is accessible by 2wd car and bitumen road. On a six week trip over that distance you may just stick to the usual tourist haunts. The smaller the camper the more of an art it becomes to get things right. Look at Britz Campervan hire rentals for ideas of different setups. From Adelaide north you can actually stay in roadside restops with the rest of the travelling brigade for nothing. It is only when you pull into towns/national parks and large tourist centres like Uluru that you need to pay. The budget and your willingness to rough it will govern how big and comfortable you can make the trip. For example that countryman that came with me thought it would be romantic to swag it with me (ie sleep on the ground) but within two nights ended up sleeping the rest of the trip on the front seat in the car. Couldn't stand the thought of bugs crawling around. ... A 4wd camper or is a 2wd camper enough? We did a trip from Adelaide along the east coast all the way up to Cairns in 5 weeks plus a few days in Sydney = 6 weeks (see blog). That was around 7300 km. That's a tight schedule. If you take your time you can easily fill 6 weeks going from Sydney along the coast via Blue Mountains to Cairns - that is a good and comfortable pace. We had a Suzuki Grand Vitara for our trip (rented via Europcar) and bought a cheap tent including sleeping mattresses down here. That was way cheaper than a camper and we had a 4WD. We also used couchsurfing.org a lot. Not all rental companies allow you to drive on gravel-roads (there are a lot!) if your car doesn't have 4WD. Beside Fraser Island where you have to rent a proper 4WD / book a tour anyway you don't need a 4WD between Sydney and Cairns. Also keep in mind if you want to drive via the Northern Territories that this might be in a different "rental-zone" You might not be allowed to or have to get extra insurance. On the other hand driving from South Australia via Victoria, A.C.T., NSW to Queensland is not a problem. With al your recommendations we know think about changing our plans and drive only from Adelaide - Melbourne -Sidney to Cairns. But for sure we need to see Ayers Rock, so we looked for an internal flight. We visited many sites, but for 2 persons we have to pay about 900 euro. Is that normal? We thought that we read that you could fly very cheap inside of Australia. can you also buy ticket locally, or do we need to reserve in front. Like by http://www.australieonline.nl/bergen-sydney-blue-mountains.htm? And of course we are lookink for caches which ware highly recommend to do, because of the environment or hidding technique. It is definitely NOT cheap to fly within Australia in general. It is quite cheap between the capital cities where a lot of people fly every day, especially for business purposes. But Alice Springs/Ayers Rock is NOT ever going to be very cheap. Not all airlines fly there either. we know think about changing our plans and drive only from Adelaide - Melbourne -Sidney to Cairns. Let me know if you're really doing that - as said I did the very same trip in 2009 and might have tons of information. E.g. rent a car in Sydney - drive up to Cairns - fly to Adelaide - rent another car and drive back to Sydney >> saves you one flight. As said: Ayers Rock is expensive any time of year. Including flight and transport the trip is about 4-7 days as well - if don't want to rush too much (Alice Springs is a 7h drive away from Uluru). >> My recommendation: Skip it. It takes a week of your schedule and it's just a rock. If you invest that into extending the trip to Fraser Island, the cruise around the Whitsundays, the Grampians, the Blue Mountains, ... you get more out of it. We are on the last day today, of a trip into Central Australia, and up to Darwin. We have visited some of the places you mention, Ayres Rock, Alice Springs, then the trip up the Stuart Highway to Darwin, then east across the Flinders Highway as far as Hughenden- which is on the way to Townsville/Cairns. Days have been nice and warm, up to say, mid 20 degrees C. But the nights have been bloody cold. Down to single figures degrees C.
If you get a camper, or even tent it, in the Northern Territory at least, there are plenty of roadside rest stops with basic facilities, toilets, seats and tables, some water, fireplaces ect. Heaps of retirees- who we call Grey Nomads- travel around and stop overnight at these rest areas. Some can get extremely busy overnight. We stopped at one a couple of nights ago, north of Tennant Creek, and it was packed, solid, wall to wall campers, yet the next night, we stopped at one between Barkly Roudhouse and Camooweal Qld, and we had the place to ourselves. These roadside rest areas are free to stay overnight at. And most importantly, you get to see the stars. I will guarantee you have never seen so many stars- ever. As already stated, you are contemplating a huge trip, well over 10000 km driving. Yes, its possible, (we are up to about 11000 km in the last 4 weeks) but it can be very fatiguing. Dont travel at night- the risk of animal strike is huge. We drove about 2 hrs last night, because we wanted to get to a certain town last night, and nearly hit- hundreds of kangaroos, about 5 emus, 2 wild pigs, thousands of birds, a fox, and we did hit one Galah, and one Bustard. Its just too dangerous. If you want any more info, shoot me an email, we have been to most of the places you mention in the last couple of years.